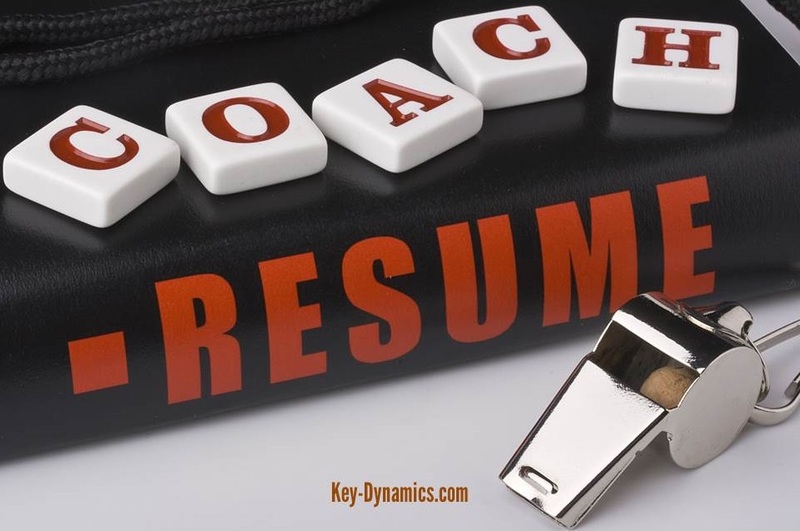 Of all the resumés and LinkedIn profiles I review as a career coach, one thing is glaringly obvious by its absence — results. Honestly, no one (except your immediate supervisor) really cares about your job duties. What they do care about – and that includes your supervisor – is how effective you are at what you do. How do you measure effectiveness? By the numbers, my friend, by the numbers. Some of these you no doubt recognize right away as fluff, but others probably have you scratching your head. No argument here. But what’s missing from those resumés are the results. The accomplishments. The numbers, the metrics. Take a look at your own resumé (if you don’t have one, you should, even if you are a business owner). What meaningless fluff have you used that takes up valuable space? Let’s take a look at the list above again and imagine how we might add some muscle to those anemic descriptions. Cultivated rapport…which resulted in 15% growth in new business from existing clients. Guided conversations…that led to a reduction in staff turnover by 20%. Drove profitability…by decreasing expenses and increasing revenues for a net bottom-line gain of $100,000 for the fiscal year. Commanded negotiations…with our top three vendors that resulted in a cost savings to the company of 10% in our most popular product line. Delivered optimum value…by creating a new troubleshooting hotline at no additional charge to our customers. Coordinated meetings…between production and sales departments that reduced errors and cut refunds by $250,000 annually. Managed social media platforms…by providing pertinent offers that brought in an additional $150,000 in the first quarter of the year. Resolved customer technical issues…for 150 clients, reducing their down time across the board by 75% year over year. You dig what I’m shoveling, right? My view is if you can’t put a number to what’s on your resumé, leave it off. Can all results be measured for a resumé? But what if you don’t have a job whose results can be directly measured in profit or savings? My opinion? If you don’t add some value to your company, you are deadwood and should start looking for another job right this minute. And it’s up to you to figure out what that value is as soon as you can. Having hard numbers is a great negotiating tool during your salary review. Your value provides a layer of protection between you and the unemployment line. It pumps up your self-confidence, which leads to all manner of good things for you in your personal and professional life. It demonstrates real leadership skills that can bring promotions and more money. You may realize that your talents are wasted in your present position and it’s time to move on. There is no down side, so think on it. What do you do that can be measured? Like volunteering so many hours a month for community projects, or reducing the number of dropped calls or complaints, getting more positive comments on social media, finding ways to become more efficient and so on. What do you spend the most time or money doing? How have you improved that situation? How much time have you saved? How many more X’s have you been able to do – or duties you’ve been able to assume? How else can value be measured for a resumé? I’d love to see your ideas below. Having spent a lot of time a few years creating a new resume, with input from two heavy weights (from different fields) helping me, they obviously didn’t get this memo, Jackie. 🙂 What you share makes sense in a world where measuring results is key. Some of my experiences would be hard-pressed to quantify at this point in time and this many years later. I guess starting a chain of video stores in the early 80’s and growing it to 30 stores within six months is a tangible result and although I have that listed, somehow the way you present it, seems more impactful. Thanks for the resume writing lesson today! Gee…growing a chain of video stores in 6 months? Yeah, I’d say that counts as an accomplishment, Bev. 🙂 The key with mature workers who are looking for new jobs is to be careful to not date ourselves by putting dates in. I recommend leaving off any experience older than 20 years…but…and this is a big “but”…you can and should mention that incredible accomplishment in your cover letter (sans dates) when you apply for a job. Appreciate your comments. So powerful Jackie. Although I’ve not updated my resume in a long time, I can definitely see what you are saying with the examples you provided. Measurable results is what employers are hiring you for. Makes me realize that taking notice of what I do and the results I create could serve me well, even if it’s just for my own personal evaluation. Yes, Claudette! Absolutely on the money regarding your own personal evaluation. Every single person whose resume I’ve worked on told me that they had no idea how much they brought to the table…until they saw it on their resume. Get going on yours, girl! You made a great point to measure value on our resume. I wish I was advised to do that when I paid good money to have someone help me write my resume. LinkedIn has evolved into a great platform and I know from the notifications I receive that headhunters check profiles in there. Measuring the value you bring sets you apart from the crowd and makes for a better resume presentation besides the standard of making sure you have scannable words in it. Absolutely correct, Webly. It’s important to have keywords in your LinkedIn profile as well as your resume. Demonstrate that to yourself by going to the search bar in LinkedIn and typing in your own biggest keyword — the person who has the most of those keywords come up at the top of search. And by the way, be sure to keep your resume up to date, even as a business owner. A businessman who was looking for a second round of funding for his business reached out to me about helping him with his resume so he would have something fresh, updated and pertinent to show his potential investors. It’s never too late to pump up that resume! Jackie, as a business owner I haven’t had to have a resume for many years. I have clients though that struggle with this and I am absolutely sending this their way. The language you used and the measurable outcomes are amazing. I can imagine that a session with you could make a difference between getting a job or not and negotiating the pay for a job! Wow! You never know when you might need one! Yes, a few well-placed numbers speak volumes and can get a whole lot more done than a feather mattress full of fluff! Excellent point, Jackie, and a valuable reminder not just for resume writers – it’s for everyone who needs to communicate their worth to others. Thank you! I appreciate your comments, Reba. One of the best things re “communicating worth” is that the first person who is impressed is the person whose resume is being polished. Thanks for stopping by. I used to take time and pride in my resume to get it top notch for my next corporate career move. Well, my next corporate career move ended up being out the door and into my business venture. But I can see the value of having it updated for a tracking record and for future opportunities that I just don’t know of yet. Plus, tips to pass on too. Good info and taking notes here. Thanks. I’m glad you found it useful, Teresa. As you point out, it’s a great way to put all your important milestones in one place. Because who knows what the future will bring? I’ve been hiring more people and I can tell you, they could all use this advice. Even businesses could benefit from following some of these directions in their presentations. There’s nothing like cold hard facts and some proof of results to get the job. Thanks! Thank you, Cathy, for your comments. And yes, just because you own a business doesn’t mean life will stay the same for you. One of the people I wrote a proposal for wanted an updated resume to present for his next round of funding for his business. Resume. Wow, makes me want to ask, “what is that”. It has been years since I ever thought of one. The last time mine was out was during a live workshop in 2004 (?) that we attended after being downsized. Never used it. Good to hear you never needed your resume, Rachel, because I’m thinking it would put you in a full-blown panic if someone asked for it…especially if yours is now more than 10 years old. But don’t feel like the Lone Ranger — many business people don’t have a resume. I have 45 versions of my resume on my hard drive…I just never know when I’ll need to pluck a tidbit out of an old resume for a current situation. Appreciate your coming by! Yes, I agree with these. Why create a resume that doesn’t stand out when there are many competing for the same position? Majority has the same information that are not measurable. Very true, Lorii. All it takes is a quick look at LinkedIn profiles and you will see that there is a lot of work that needs to be done to show value. Thanks for stopping by. If you're ready to explore your options to get more out of life, call today to set up a complimentary coaching session.